Smoked Salmon Deviled Eggs always disappear in a flash when I bring them to parties. This classic appetizer has lots of fresh flavor, with smoked salmon, goat cheese, and chives. 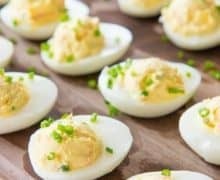 If you’re looking for deviled eggs without mayo and with great flavors, this is just the recipe for you! 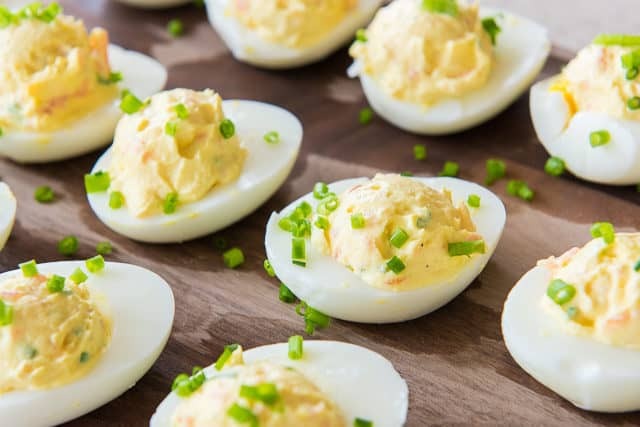 People seem to either love deviled eggs or not be on board at all. 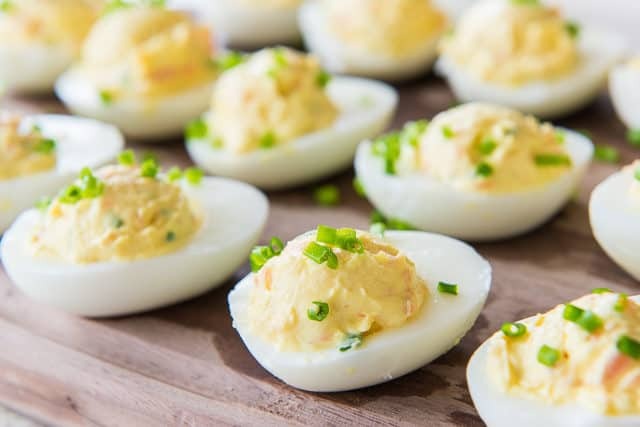 Personally, I only like deviled eggs if they have more going on than the usual preparation with mayonnaise and a dusting of paprika. For these deviled eggs, there’s smoked salmon as the star flavor, goat cheese and sour cream for richness, and lemon and chives for brightness and freshness. Totally delicious! 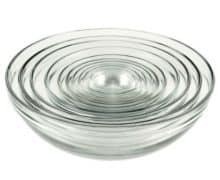 Everyone always loves these when I bring them to parties. AND they have the bonus of being a cold item, so you can make them ahead of time and just grab them from the fridge before you head out the door. I always thank myself later when I make a “grab and go” dish because otherwise it can be really stressful when I try to make something at the last minute. These are so easy for company! 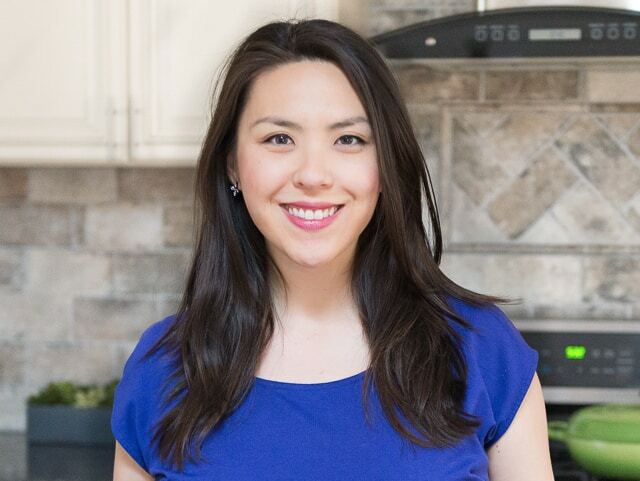 If peeling hard-boiled eggs is difficult for you, you have to try this easy-peel method. So many people swear by it and it always works well for me. 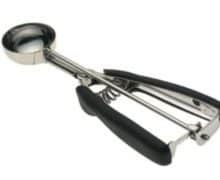 Either pipe the filling into the eggs, or use one of these cookie scoops instead. However, piping the filling is neater and can be done in pretty designs. The choice is yours! 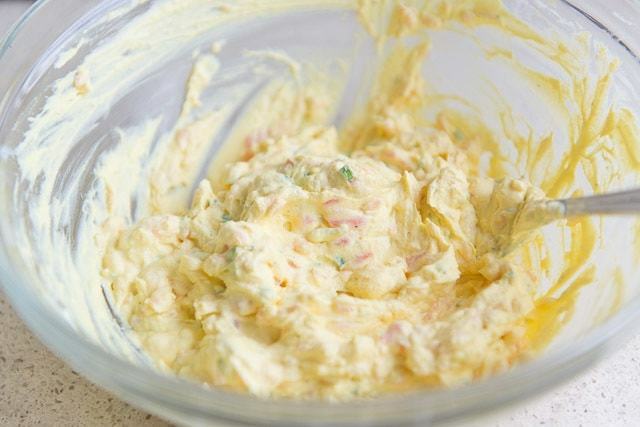 Smoked Salmon Spread is another great appetizer to try, and has a similar flavor profile but can be made in 5 minutes. I also love a simple Baked Salmon for a main course. Enjoy! 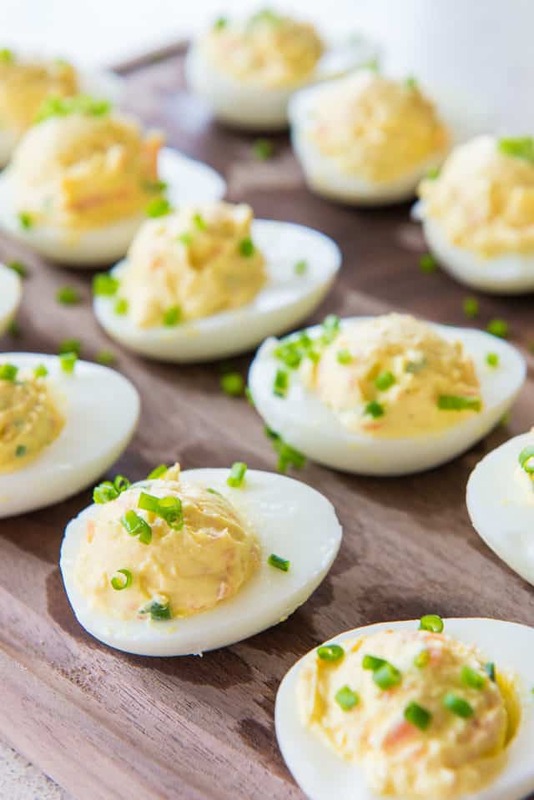 Smoked Salmon Deviled Eggs always disappear in a flash when I bring them to parties! This classic appetizer has smoked salmon, goat cheese, sour cream, a little lemon, and chives. Hard boil the eggs per these instructions. 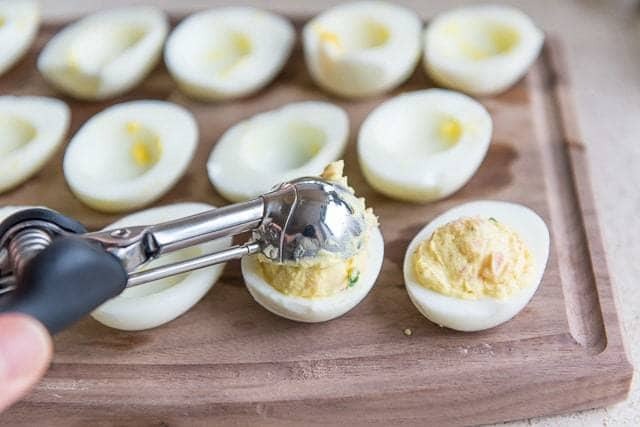 This is the best method I know of for easy-peel hard-boiled eggs. 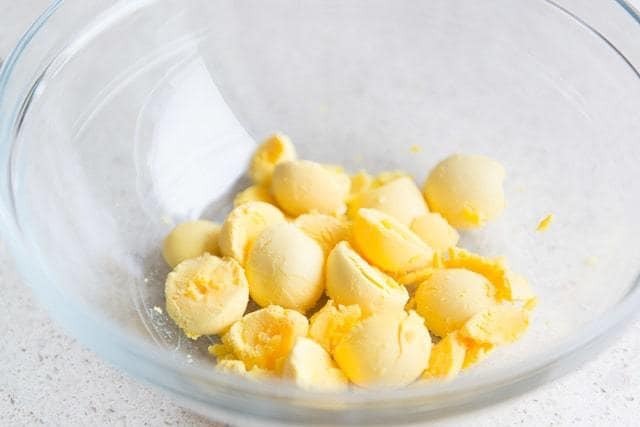 Peel the eggs, cut each egg in half, and remove all the egg yolks to a bowl. 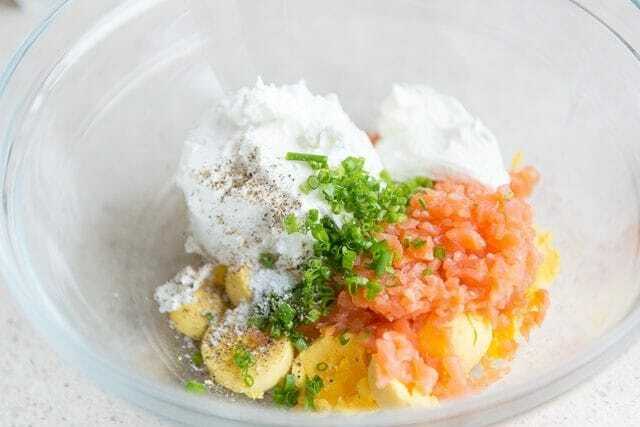 To the yolk bowl, add the goat cheese, sour cream, lemon juice, chives, salmon, salt, and pepper. Stir well and taste it to make sure it's seasoned to your liking. 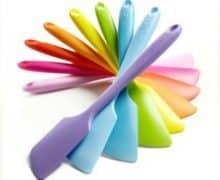 Use a piping bag or cookie scoop to fill the egg halves with the smoked salmon goat cheese filling. Keep chilled in the refrigerator until ready to serve. Enjoy! Post updated with refreshed photos, more writing, and tips in July 2018. Originally published May 2016. OH my God, looks so good. I love Salmon. These were SO good. They disappeared fast. I can not any seafood, could I omit the salmon and use bacon instead?